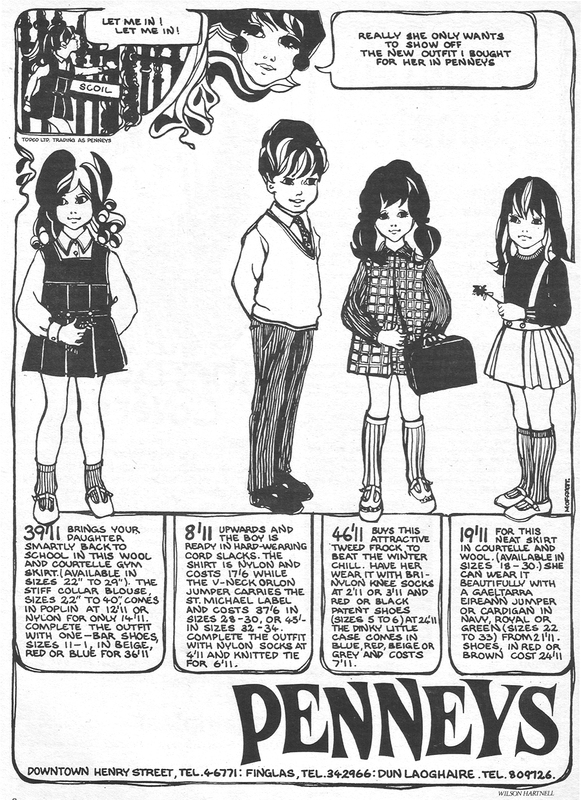 Two adverts from the Autumn of 1969 for Penneys. The artist is Moffatt for both adverts through the Wilson Hartnell agency. Scanned by Brand New Retro from Woman’s Way August & October, 1969.